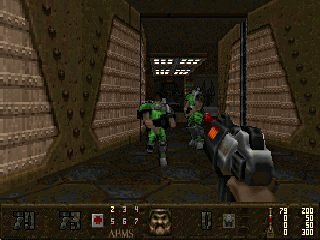 A WAD pack for DOOM II conversions on the Dingoo A-380/A-320e. No information files available for these DOOM II total conversion WADs. All I know is that some guys from the GP32 scene are involved for some of these great DOOM II total conversion WADs.